This Stormtech® jacket is perfect for windy and rainy days and easy to layer when it’s cold. 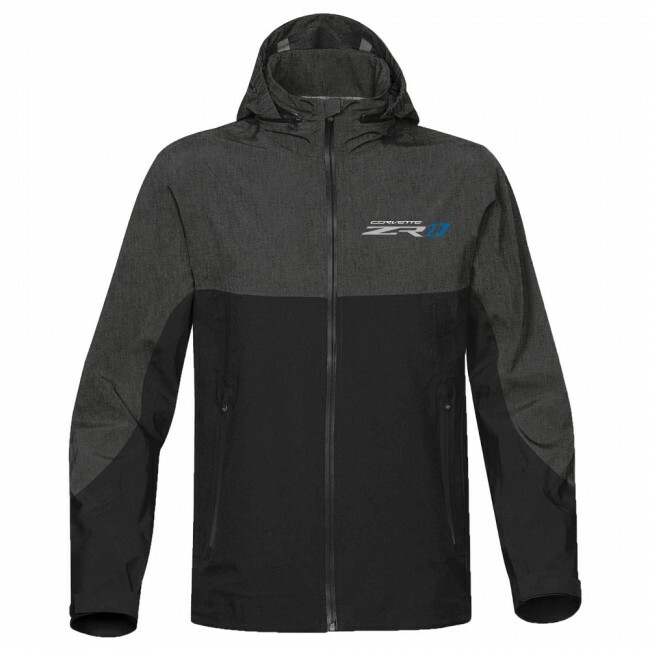 Made with a seam-sealed 2.5-layer fabric, it features a waterproof zippered front and pockets, zip in/out hood, contoured protective collar, adjustable Velcro® cuffs and adjustable hem. Embroidered with the Corvette ZR1 logo on the left chest. Water Resistance 5,000mm. 92% polyester/8% spandex. Imported.